This book examines the concept of `zeal' in three Pauline texts (Rom 10:2; Gal 1:14; Phil 3:6) as a way-in to discussion of the `New Perspective' on Paul. The concept of zeal has been discussed in a sustained way by James D. G. Dunn, who argues that Paul was drawing on a long and venerable tradition of Jewish zeal for the nation of Israel, that is, a concern to maintain Israel's distinction from the surrounding nations by defending and reinforcing its boundaries. 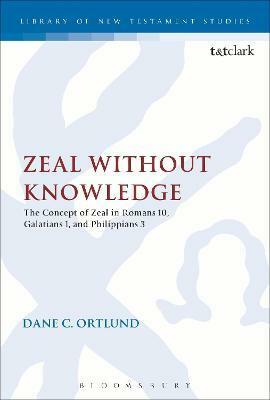 Ortlund interacts with Dunn, agreeing that this concern for distinctiveness was a crucial, and neglected, concern of Paul's before his conversion. Nevertheless, Ortlund contends that Dunn has presented an overly narrow understanding of Pauline zeal that does not sufficiently locate zeal in the broader picture of general obedience to Torah in Jewish tradition. As such, Ortlund shows in this work that zeal refers most immediately to general obedience to Torah - including, but not to be centrally circumscribed as, ethnic distinction. Dane C. Ortlund is Senior Editor in the Bible Division at Crossway Books. He is the author of A New Inner Relish: Christian Motivation in the Thought of Jonathan Edwards and numerous scholarly articles.